February can be a hard month. We’ve had a pretty rough one this year, in fact. There are fun parts to it. But it’s been cold. And it’s been inconvenient. And sometimes it seems like it’s the shortest month in the year on purpose, because it’s the hardest one to get through. Right in the middle of February, though, we celebrate Valentine’s Day. Right in the middle of all of the cold, and the dark, and the flu season, we have a day set aside for celebrating love. And this is something that really needs to be celebrated—it needs to be focused on—that needs to be thought about and talked about and practiced and studied. Love is everything. We have piles of cliches about love: “Love makes the world go round.” “God is love.” These are cliches that everyone knows, that we see on bumper stickers, because one of the most fundamental truths behind the entire universe is that God is love itself. And that so pervades the universe that He created that we can innately sense the truth of this idea of the importance of love. In our personal experience, we know what it feels like to be loved. It feels good. On a more mature level, it feels good to love. To be able to make somebody else happy brings joy to oneself. And, in fact, we’re taught that all delight, all joy, all happiness comes from heaven, and that all of the joy and delight and happiness in heaven comes from love. And, in fact, at its very root is marriage love—conjugial love. That’s where all happiness comes from. So love is important. And when loves breaks down, the results are often deeply painful. A little baby can die of lack of love just as easily as die of lack of oxygen. Physical affection, for a newborn, is essential. A person who lives without love barely lives at all. Maybe there’s been a time in your life when you felt you had no connection with other people, where there was no one who really cared about you or where there was no one for you to care about. And if you’ve been in that place, you know how life is only half alive. And conversely, if you’re in love right now, you know what that feels like, too. It brightens everything. It sharpens everything. It increases your ability to enjoy all the other good things in your life. So it’s important to understand love. And that’s something the world’s not very good at. While everyone can say, “God is love,” how many people really know what that means? Or that “love makes the world go round.” Well, how? How does it make the world go round? How do you love? In the New Church, we have revealed to us an enormous amount of information—truth—about love. Truth that the rest of the world needs to hear–truth that we ourselves need to go back to over and over again–because love is the essence of life. So, for instance, we read that to feel the joy of another person as one’s own joy is the definition of love. And conversely, that loving yourself in another person isn’t real love. Now, what does that look like? Very often, we’ll do something for somebody because part of us understands that we’ll get something for it. Sometimes we’ll do something nice for somebody because they remind us of ourselves. They’re one of “our people”. We’re going to take care of “our own”. That’s not real love. It gives us a picture of love. But real love is sacrificial. Real love is doing something for somebody else purely for their benefit. The Lord said that we are to love one another as He loved us. And you can go back throughout the entire Word and look at every single thing He did and know: He did it because He loves us. He loves you. And then He said, “Now, you go love in the same way.” Love selflessly. Love sacrificially. Love the way the Lord loves. That’s a deeply profound, powerful idea. Think about that. God is love itself. And for love to be real, there must be an “other” than the self to be loved, and so He created you. And He created the entire universe as a foundation and as a home for you, so He could love you. So that’s the first part of love: there has to be one outside of yourself. The second part is that love desires to connect with and to become one with its object. The Lord desires closer connection with you. Now, we’re told that we are meant to love the Lord: “Love the Lord your God.” That’s the first and greatest commandment. But how do you do that? Where is He? You can’t see Him. You can’t have Him over to your house. How do you love the Infinite? Well, He tells us, over and over again. When He says, “Abide in My love,” He also says, “Keep My commandments.” If you want to become closer and closer to God—if you want to become one with the Lord—you read His Word. Get to know Him. His word reveals His mind, His inner thoughts, His affections. Spend time in His word and you will get to know Him, and you can come to love Him that way. What does that have to do with how we love one another? Well, if you desire to love a person, then you need to connect with them, you need to draw closer to them. How do you become more one with a person? You spend time with them, and you get to understand them. Be curious about them. Listen to them. Connect with them. Again, in Divine Love and Wisdom, in part of that definition of love, in addition to feeling the joy of another is one’s own joy, there is also the desire that what is yours becomes theirs. That whatever you have is for them as well. And that’s part of that joining together as well. Now, the third part of love is that love desires to make its object blessed. In modern terms, that means to make happy. And not just frivolous happy, not the kind of happy you get when your favorite television show comes on, but deep, lasting happiness. The kind of happiness that you receive when somebody you deeply care about receives the one thing you knew they needed. The deep happiness that you get from having a job that does good to the world, that you’re good at. The deep happiness that you get from a lasting relationship, from 50 years of marriage. The happiness that you get from heaven. So those are the three parts of love. Love desires some “other” as its object, to connect with and become one with, and to make happy. Again, that’s why the whole universe exists. We exist so that the Lord can make us happy. So that He can build a heaven from us. So, what can you do to love another person? First of all, you can recognize that you really have to be loving of the “other” in that person. That means not just loving the parts in them that you best understand, or that you are most drawn to. This is especially important in marriage. When a couple comes together in marriage, they’re drawn together by those parts that are alike. Those loves are in alignment with each other, but no two human beings are perfectly alike. So what happens (and this happens in marriage most intensely, but it happens in all human relationships) is, those parts which are not alike, over time, can come into conflict. Another commandment the Lord gave about love was to “love your enemies.” On a deeper level what He was saying is, “You have to love those that disagree with you.” In fact, your spiritual enemy, on a very deep level, is somebody who disagrees with you over a matter of doctrine or truth. 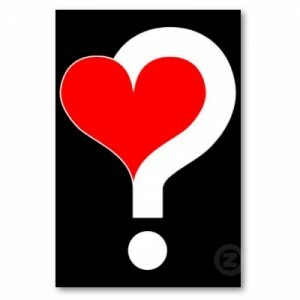 So even with deep philosophical, religious disagreement, the Lord says your answer is: to love. So, you have a difference in taste as to what restaurants to eat out at. That’s nothing compared to a difference in doctrine, or theology, or religion. So yeah, you need to love that in the person, too. Even if you’re not a fan of Mexican, or they’re not a fan of Italian, work to appreciate what’s different in the other person, as well as what you recognize of yourself there. Try to connect with the other person. Spend time with them. Get to understand them. Try to see the world through their eyes. We have this beautiful image given in the book, Marriage Love—or Conjugial Love—of husbands seeing through their wives’ eyes. In particular, seeing other women through their wives’ eyes as a means of not looking at other women inappropriately. We can generalize this. Try to see the world through another person’s eyes. There is something here so basic to how we work that it can surprise you once you start working on this. You see, the way we tend to operate, just because of our nature, is that when we’re in a conversation there’s a part of us that’s listening to what the other person is saying, looking for advantage of some sort. Whether it’s, “There’s something I want to say; how can I fit it in?” or, “Which part of this is interesting to me, that I can steer the conversation towards?” or, “How can I make myself look good by responding to this?” That’s not the whole thing that goes on in our minds, but that’s a big part of it. How often does somebody ask you for advice, and your first instinct is to suggest something that might be of benefit to you? It doesn’t necessarily mean you say it, but we all have a voice that speaks that way. It’s one of a couple of voices. Once you start paying attention to that, it can be surprising how often it speaks up. Also, once you once you start paying attention to that, you can then push it aside, and you can become more selfless in how you listen to another person. The Lord also said (in our reading from John), that there is no greater love than the love of one person laying down their life for another. That’s truly sacrificial love. When the Lord said this, purely on a literal, natural level, He was foreshadowing the Crucifixion, where He literally laid down His life. What is the Crucifixion a symbol of? What was going on, spiritually, there? Part of what the story of Easter is—part of what the crucifixion of Jesus Christ is all about—is what it looks and feels like to be spiritually born again, to regenerate. To face temptation and come out the other side a spiritually reborn person. Why such a terrible image, such a painful image? Well, because that’s what it feels like. To face temptation means to look at something inside yourself, that does not belong, that is not in order with what God commands, and to give it up. Sometimes that feels like dying. So how does this connect with love? The number one thing you can do to improve your marriage, and more generally speaking, one of the number one things you can do to improve any relationship, is to work on your own spiritual growth. The health and beauty of any connection between two people, derives from the good of each of those people. You have no control over the good in another person; there’s nothing you can do about it. You are entirely responsible for your own spiritual growth. If you want your marriage, your friendship—whatever relationship matters to you—to be happier, healthier, more useful, more productive, and better for other people, work on yourself. Work with the Lord on making you a better person, and, guaranteed, the world around you gets better. Rather then focus on what is a problem with the other person, look to yourself and say, “What can I do to improve things? What do I need to repent of?” And then turn to the Lord in prayer, and ask for Him to take that from you. And do the hard work of shunning evil. The more you do that, the better you will become at loving other people. Here’s what happens when you do that. You become a more complete vessel for the Lord’s love. The more you work on your own spiritual growth—the more you repent, the more you allow the Lord to regenerate you, to recreate you as the spiritual being that He intends you to be—the more He can work through you. Every bit of evil that is removed from you clears the way for more good to fill you. Where the Lord is, good things happen. If you practice becoming better at being a loving person, then you become a means for the Lord to be present in other people’s lives. You become a blessing to other people. Where you love other people, the Lord loves other people, because He is love itself. You can’t be loving to somebody else without the Lord being in that. So think about that. How about if everyone here today, as a Valentine’s Day resolution—we don’t have those but maybe we should—as a resolution to become more loving, as something to do in this terrible, cold, snowy February, or as something to finish off the marriage conference that we’re having here this weekend, decide that you’re going to practice being better at loving other people. You’re going to choose one of these things. You can choose to be a better listener, or to try to see through other people’s eyes, or to listen selflessly. You can choose to work on becoming a better person. Find something in you that you know damages your relationships with other people and ask the Lord to help you take that out. Pick any of these things and decide, “For the next four weeks, I’m going to give it special focus.” If you do this, and if we all do this, there will be a palpable change. That’s inviting the Lord into our community. It’s inviting the Lord into our marriages. It’s inviting the Lord into our hearts. The Lord has promised that He is standing at the door waiting for that invitation; all we have to do is give it, and He will come in. So do this, and you will become a blessing to those around you. Tonight, I am doing a betrothal ceremony at “The Retreat” in Bryn Athyn.